I'm a caregiver on a bicycle. I've been taking Anastrozole for almost four years, and for the most part have not had problems. We're all different and react to drugs differently, but I have not had any of the joint pain that some people have. My hair might be a little thinner than it was, and it's possible that the drug contributed to a little weight gain – or maybe it's just because I'm not as active as I was before cancer treatment. I’ve been pretty lucky without the unpleasant side effects that some people have. But my DEXA scan after a year on anastrozole showed some incremental bone thinning. In spite of what the DEXA scans say, my bones aren’t fragile – if they were, I would have broken something by now – but I’m seeing the naturopath at our cancer center and she has me taking a supplement called Osteo K, which is a lot more expensive than the anastrozole. I’ll try taking it for a year and see if it helps. I may be having some hair thinning, and have added a few pounds that I’ll blame on the drug. But mostly I’m able to stay active. I had surgery, chemo, and radiation, and since I was staged at 3C it didn’t seem an option not to take an aromatase inhibitor. I’ve been on anastrozole for a little over two years. I see the range of side effects others have and count myself lucky. I may have had a little hair loss, maybe a little weight gain, but I think that’s all. I’m not aware of problematic side effects after a little over a year on anastrozole, except my last DEXA showed a bit more loss of bone mass in my spine. 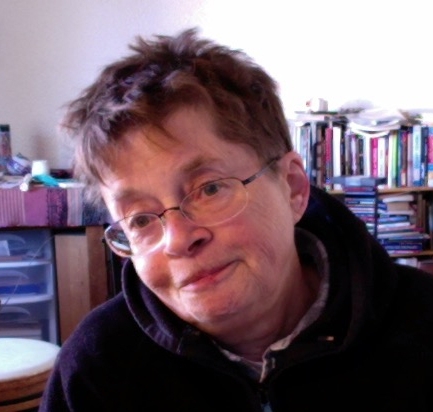 My hair is back, post chemo, sleeping okay, joint pain is from arthritic knees, pain linked to hip weakness. The anastrozole is giving me so little trouble my oncologist is reluctant to try anything else, even with the osteoporosis. I was diagnosed with borderline osteoporosis in my spine before breast cancer treatment, but now that I’m on an aromatase inhibitor, I’m really concerned about how to increase my bone mass – without wanting to take more drugs. I did LiveStrong at the Y after finishing cancer treatment and it was a great group, but nobody seemed to know which bends/stretches/exercises were safe for me to do. This is an area that seems ripe for the yoga instructors who work with older folks and cancer survivors.